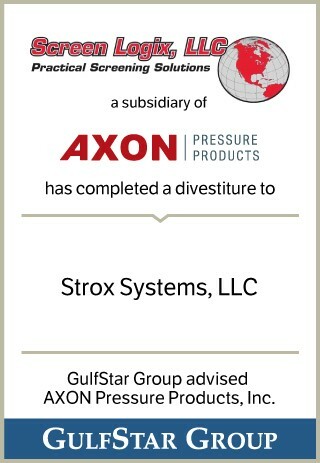 Screen Logix, LLC, a subsidiary of AXON Pressure Products, Inc., is a leading provider of aftermarket shale shaker screens used in the drilling of oil and gas wells. Shale shakers are part of the drilling fluid filtration system employed on rigs to remove solids from fluids as they return to the surface and are processed for re-use or disposal. The company manufactures replacement screens for nearly every make and model of shale shaker, and supplies manufacturers of solid control systems with private label screens.